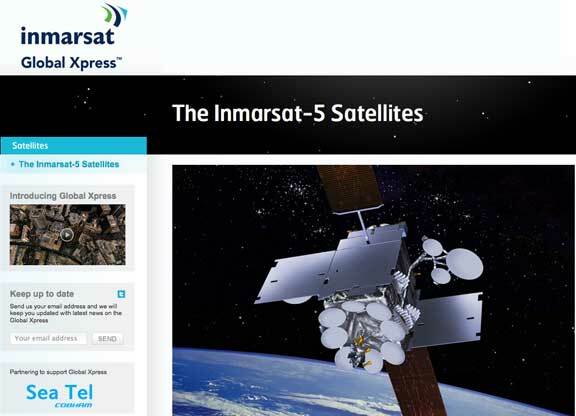 ...Inmarsat’s satellite access station (SAS) in support of the new Global Xpress® constellation. As one of two North American co-primary Teleports, Encompass will provide uplink/downlink services, collocation of Inmarsat equipment and interconnectivity to Inmarsat’s terrestrial data networks. This next-generation, Ka-band satellite fleet offers high throughput with downlink speeds of up to 50Mbps and up to 5Mbps over the uplink from compact user terminals. The Global Xpress launch program commences in 2013 and a third launch is scheduled for 2014. Inmarsat required a secure site that provided an optimum environment with minimal disruption risks, such as extreme weather conditions; and Encompass’ Lino Lakes, Minnesota, facility renders a unique geographical location for radio frequency communication. Encompass will be supporting Inmarsat by collocating and managing a significant array of satellite ground segment equipment and routine maintenance services for a new 13.2m Ka-band antenna. Encompass services will include a newly constructed 2,500 square foot cement building which will house equipment to manage, control and provide service to Inmarsat Global Xpress customers. During the long-term contract, Encompass will provide SAS services pre-launch and throughout the life of the Global Xpress fleet in addition to 24/7/365 “hot hands” engineering and facilities support at the antenna hub.